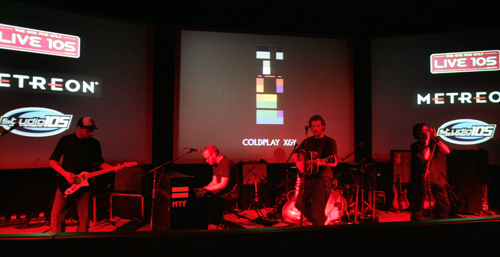 Tony Brooke was hired to record a February 2006 Coldplay concert which was broadcast on Live 105 (KITS-FM, San Francisco). This private show for about 30 on-air winners was followed by a Q and A session. It was recorded at The Action Theater at the Metreon Center in San Francisco, and broadcast the next morning on Live 105. Coldplay brought their whole touring instrumentation with them, so it was a 48-track recording.